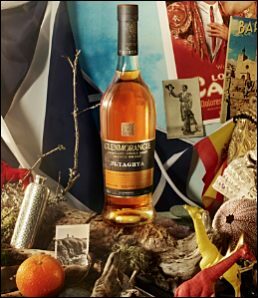 Whisky enthusiasts from more than 30 countries have created Glenmorangie Taghta (Scots Gaelic for ‘The Chosen One’) through the Glenmorangie Cask Maste rs programme. Only 12,000 bottles of Glenmorangie Taghta will be released globally, and available exclusively to registered Cask Masters. Launched in March 2013, the Cask Masters programme – the brainchild of Glenmorangie’s Dr Bill Lumsden, director of distilling and whisky creation – invited members of the public to help influence every stage of bringing a new single malt to market: from the liquid and its name, to the packaging design and photography. During the final stage of the process, Cask Masters were invited to suggest a location where Taghta should be unveiled to the public. They were also given the chance to win an invite to the event itself. The home of Glenmorangie in the Scottish Highlands was selected as the desired location for the big reveal.